When on the go, you will need your best travel companion to build a transportable and chic look. 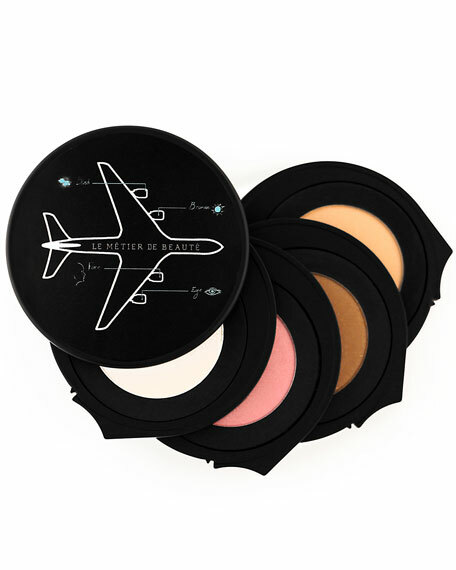 Filled with the basics such as a translucent powder, blush, highlighter or bronzer and a signature "POP" eye shadow. Every look will give you the most impact with minimal product that won't bog you down-whether it be in a plane, train, helicopter or yacht. Each shade is handpicked by our Director of Color to communicate an inspired vision that allows for infinite looks through blending and layering of the palette. For in-store inquiries, use sku #1605245.